When you slip, trip, fall or get into any other type of accident on someone else’s property, you may be entitled to compensation for your injuries and losses by pursing a premises liability lawsuit. Here in this article we highlight some important facts to know when it comes to these types of cases. Think you may have a premises liability claim? If so, here are some important facts you should know. For more info, contact Cederberg Law. If you have even more questions and are ready to receive some specific information about your rights and case, you are encouraged to contact the Boulder premises liability lawyers at Cederberg Law. 1. The legal definition of “reasonable person” is important in many of these cases – When building premises liability claims for injured people, these cases are based in part on the fact that a property owner or manager either knew about or should have known about the dangerous conditions at the property and, yet, failed to do anything to fix them (or to warn people visiting the property about them).While it can be tricky to decide and prove what a person should have known, this is where the term “reasonable person” comes into play. In simple terms, the standard for what someone should know is based on what a reasonable person in the same or a similar situation would know based on the available evidence and conditions.When this “reasonable” standard is not met, the person (or party) in question is generally considered to have acted negligently and, therefore, can be on the hook for compensating people who were injured as a result of this negligence. 2. You have to have had a legal right to have been on the property in order to have a case – While premises liability cases require that injured people were, in fact, injured by the dangerous conditions at a specific property, these claims are only valid if the injured person had a legal right to be on the property in question. In other words, the person will not have a valid premises liability claim if he was trespassing on the property when he sustained his injury. 3. 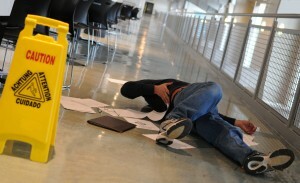 There is a two-year statute of limitations for filing premises liability lawsuits – As with other types of personal injury cases litigated in Colorado, premises liability lawsuits must be filed within two years of the date of the accident in order for the injured person to legally be entitled to compensation for his injuries and losses. If the injured person misses this two-year window and tries to file a case after the statute of limitations has expired, his case will likely be thrown out of court, and he will lose his opportunity to seek compensation. It’s important to point out here, however, that the clock for the two-year statute of limitations may start either on the date that the accident happened or the date on which the injured person first became aware of his injuries (through, for example, an official diagnosis from a medical professional). 4. Surveillance footage and property maintenance records can be crucial evidence in these cases – In many cases, proving that the conditions at a specific property were unsafe and that these conditions directly contributed to the plaintiff’s injuries will rely on evidence like surveillance camera footage and property maintenance records. Such evidence can critical to highlighting that certain areas of the property were dangerous, that they were not blocked off and/or that there were no warnings signs to alert visitors of the potential dangers. 5. If you were using the property “recklessly,” you likely will not have a case – Just as the fact that you have to have permission to be on the property in order to have a valid premises liability claim, you also have to have been using the property as a “reasonable person” would be using the property immediately prior to sustaining your injuries. In other words, you cannot have been doing something that was intentionally dangerous and then expect that the property owner should compensate you for your injuries. For example, if you were jumping off of a rooftop, sliding down stairway banisters or climbing up railings on a building, you will likely not have a premises liability claim if these actions caused your injuries. 6. You will have the best chances of securing compensation from premises liability lawsuits by working with a skilled attorney – The most important thing to know about premises liability lawsuits is that, with these cases, you can optimize your chances of obtaining the full amount of compensation that you deserve when you work with experienced lawyers like those at Cederberg Law. The fact is that insurers are experienced at finding ways to undercut or deny these claims and that, after sustaining serious injuries, you need to focus on your physical recovery while being able to rest assured that you have a skilled advocate championing your rights to compensation and justice. Have you been injured due to the dangerous conditions at someone’s property? If so, contact the Boulder premises liability lawyers at Cederberg Law by calling us at 303-499-0449 or by emailing us using the form at the side of the screen. We are ready to fight for your rights to compensation and justice. Since 2011, our esteemed legal professionals have been successful at securing results and compensation for people who have been seriously injured in accidents at dangerous properties, as well as in various types of accidents caused by other people’s negligence. Having handled countless cases, our attorneys have a deep understanding of the law, as well as the legal experience you need, and we can fiercely defend your rights in any legal setting.